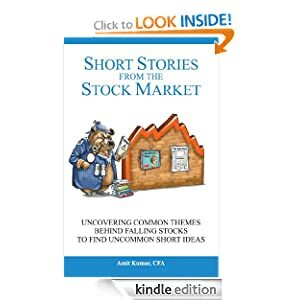 A Diary of My Investing Journey- mainly to keep me straight and honest! A belated Happy New Year to all readers. I am currently making preparations in anticipation of the coming reporting season. Paul works as a middleman connecting (mainly US) corporations which outsourced their production to factories in China. He has lived for a number of years in China, and considers China "home" (much to the consternation and displeasure of his Chinese seatmate on a certain flight). 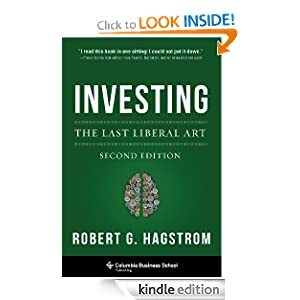 The book is an easy and interesting read. Whilst anecdotes are not necessarily conclusive, most of his descriptions, especially "quality fade", square with the author's own experience. 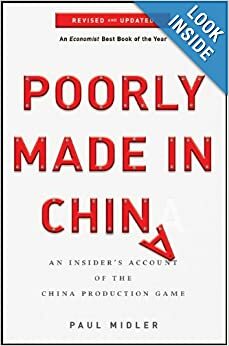 This book will bring a much needed reality check to those bullish on China for the long term. I have long hypothesised that a major impediment for China in terms of economic and social advancement lies in its culture. Paul's accounts appear to indicate that the problem is much more severe and deep-rooted. 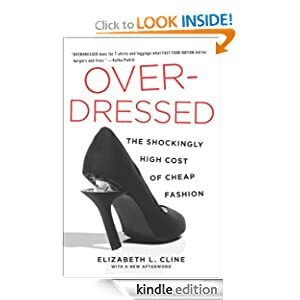 A good follow on book to Poorly Made in China, reading more like a specific prologue concerning fashion and clothing. A two book compendium could well read "Poorly Made in China, Poorly Worn by the Rest of the World." As Charlie said, "show me where I am going to die, and I will make sure never to go there." An excellent book, with lots of links to further reading. If any reader is game, start reading the full book list of St John's College (Annapolis). Now to get my hands on a good edition of Iliad and Odyssey. I am currently operating a private investment company. This blog details my investment journey. I am also a lawyer practising in Sydney, Australia. I focus on areas of property, taxation, and business investments.